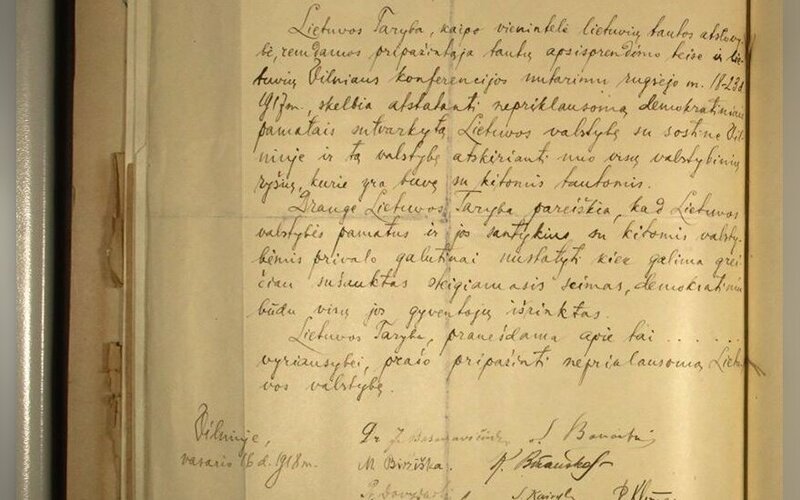 Vytautas Magnus University professor Liudas Mažylis who discovered the long-sought Lithuanian Independence Act last year is inviting researchers of countries celebrating their centennial anniversaries this year to pool their efforts for analysis of the independence declarations. "The Vytautas Magnus University has been long working on the idea of inviting higher education institutions of these countries and apply for an analysis, which would be a major and a very interesting challenge for me as a researcher," Mažylis told a news conference at the Lithuanian parliament on Monday. The professor noted that the independence declarations had not yet been examined. "I am a bit astonished that there have been no systematic research that would analyze the independence declarations in a consistent manner, their content and the concept of sovereignty, where things are shared and separate," said Mažylis. Conservative MP Emanuelis Zingeris says he would propose synchronizing the political statements of all countries, which would examine "the crucial 1917-1918 contribution to the creation of a free world." Lithuania this year marks 100 years since the declaration of its independence – on Feb. 16 of 1918, the Council of Lithuania announced restoration of the independent statehood. 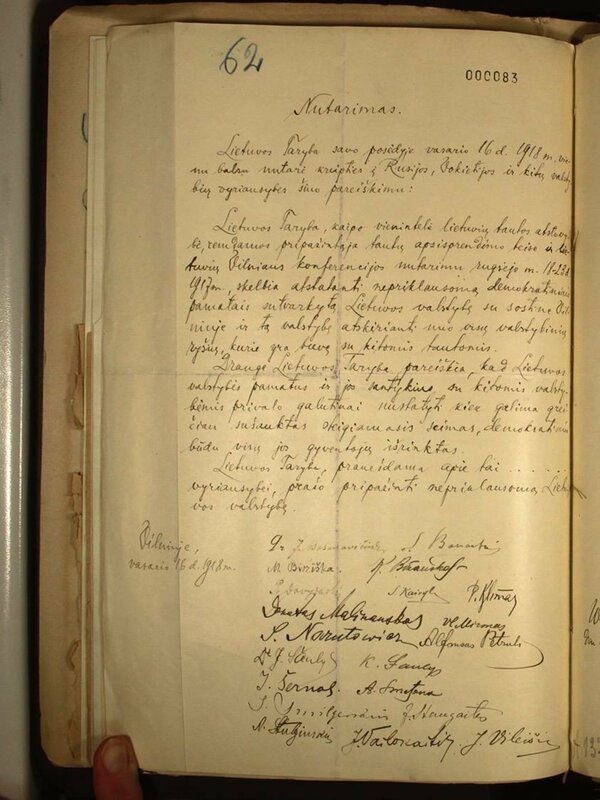 Mažylis found the resolution on restoration of statehood in Germany's diplomatic archives in March of 2017. Under a bilateral agreement, the act is currently on display in Vilnius after being handed over to Lithuania for up to five years. The agreement stipulates that the document could be displayed in Kaunas in 2022 when the Lithuanian second city holds the status as the European capital of culture.